Great accessoires! You combines them very well and the result isn´t excessive, is cool :) I think I prefer the short version of the skirt, I´m not used to long ones. 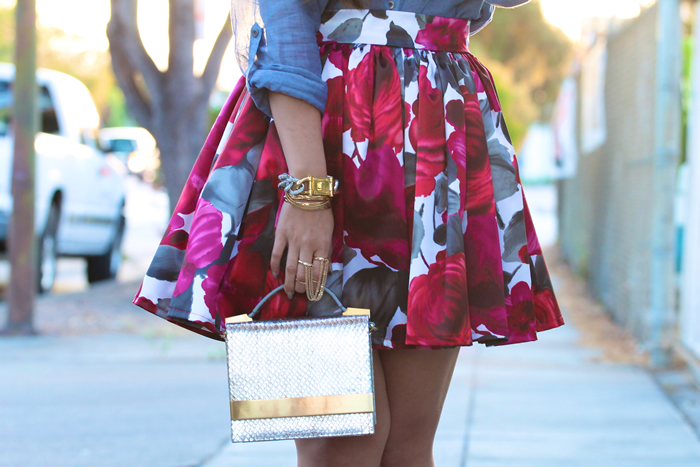 The cutest full floral skirt ever! You always rock the most colourful and vibrant outfits! This s one of my favorite looks too KT! 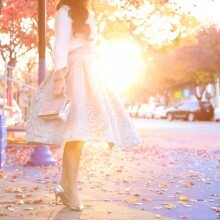 OMG this skirt is TDF! Please please please bring it back soon! I can’t wait to order it! LOVE that skirt!! Looks so so pretty on you! The volume is perfect! My favorite garment i, the whole world is a nice full skirt mini or midi so you know I am dying for this. I would wear this exactly like that.